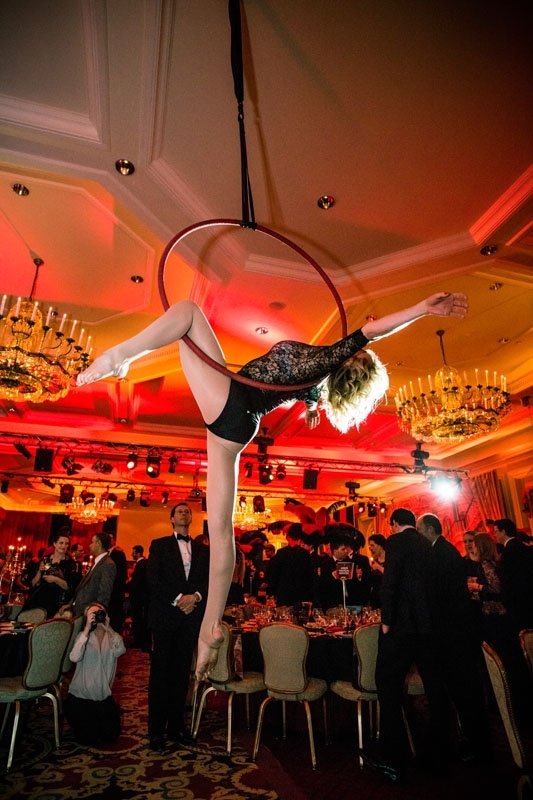 Twisting and turning high above your guests, our talented aerialists will create a beautiful spectacle for an unforgettable entertainment experience. 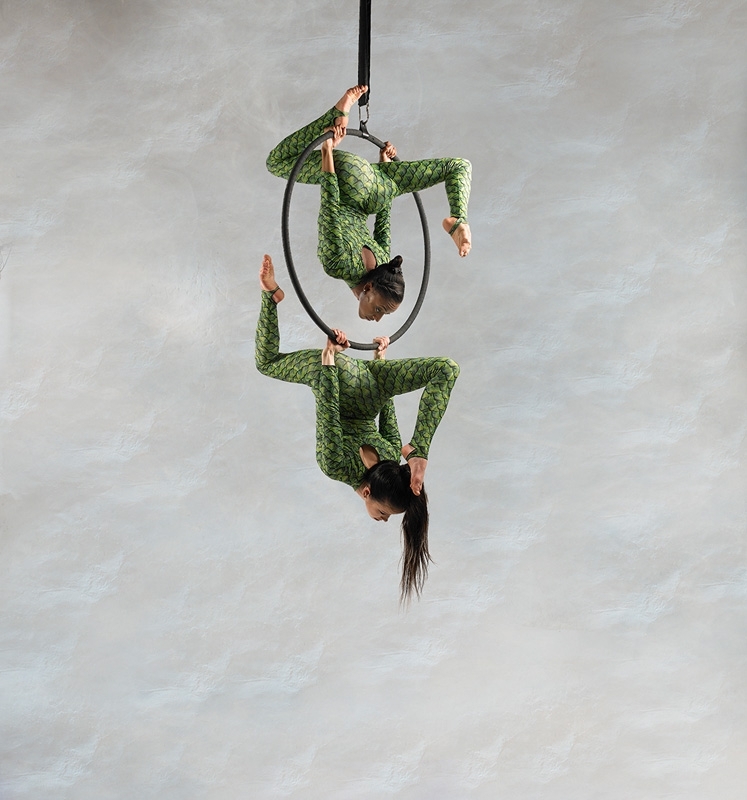 Silks performers will skilfully climb to the top, making beautiful shapes and forms along the way, before tumbling down in death defying drops and spins. 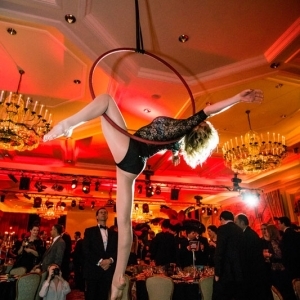 Our Hoop performers demonstrate an extraordinary skill as they contort their bodies and intertwine with the hoop, hanging in impressive and daring positions over the crowd below. 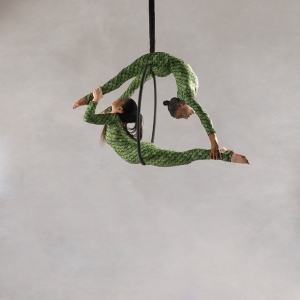 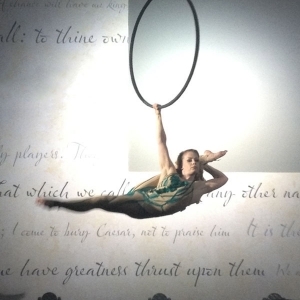 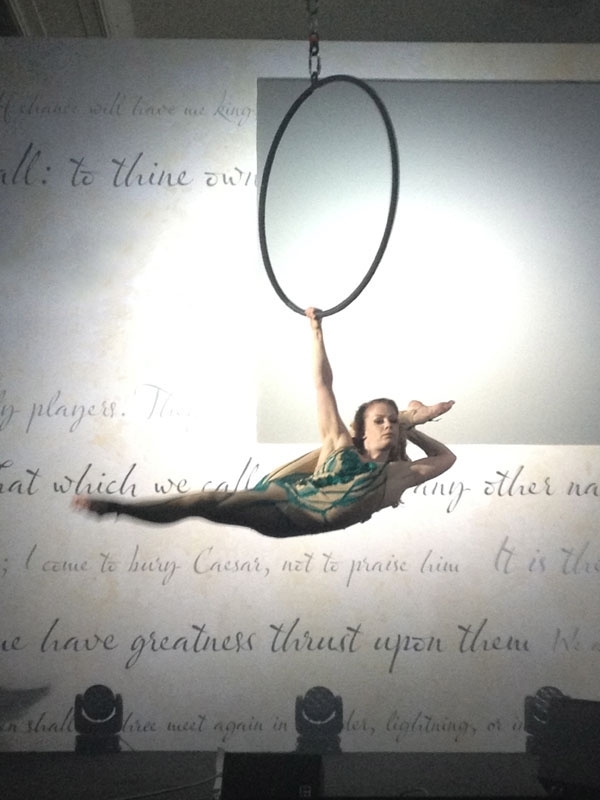 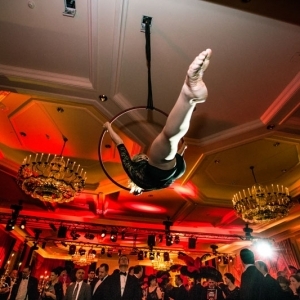 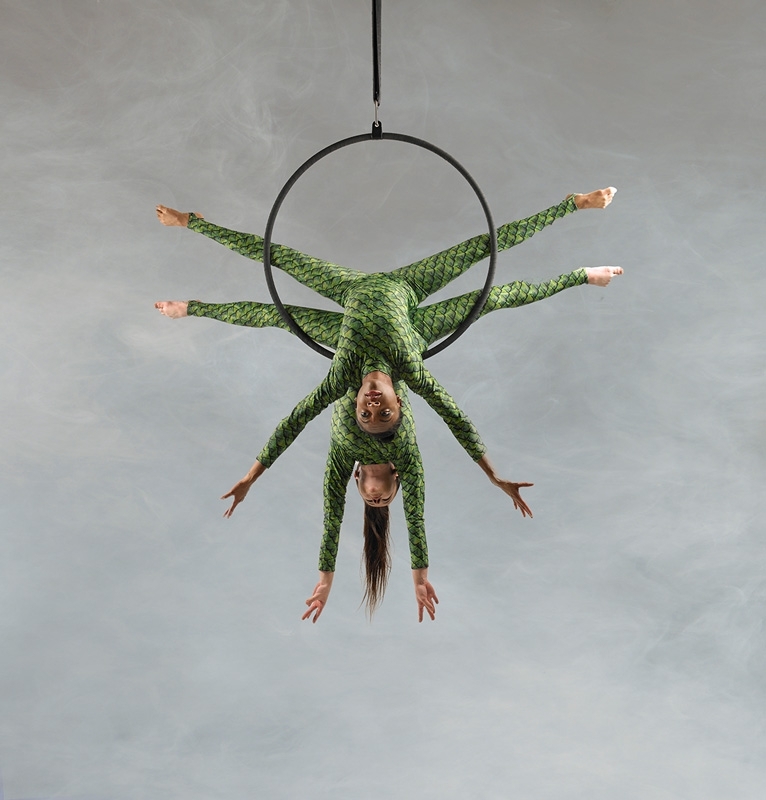 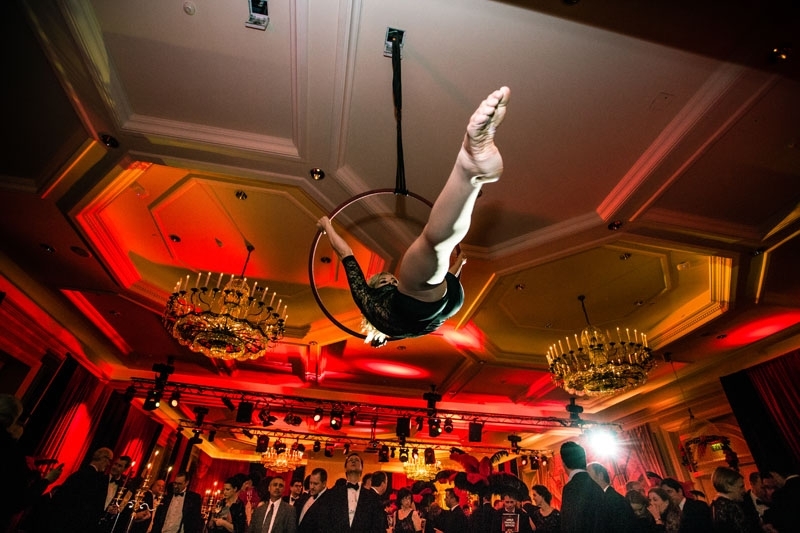 We offer both solo and duo aerial performances which are fully choreographed to dramatic music scores, and the aerialists can also offer freestyle ‘atmospheric’ performances. Our duo aerialists can also perform a Spanish Web act which involves one aerialist being spun on a rope at dizzying speeds as their partner manipulates and spins the rope in a wide arc, leading to a visually spectacular and thrilling performance.